Worcester, MA (July 6, 2018) – Worcester police responded to an early morning accident involving injures on Thursday. The call was received by police at around 1:00 am in reference to an accident in the 1 block of Paine Street. Police made their way to the scene to investigate. When they got to the crash, they discovered an accident with multiple vehicles and injuries resulting from the crash. Officers then requested that emergency medical workers come to the scene for medical treatment. At least one person was treated on scene for their injuries. Police closed the affected area while they cleared away debris from the crash and investigated the cause. There is no word at this time on what might have caused the accident to occur nor is there an update on the condition of those injured. The Worcester Police Department investigation remains ongoing. Being involved in a car accident is never a pleasant experience by any means. Accident victims face physical pain, financial hardship, loss of work and an uncertain future. However, although being in an accident is never a positive experience, you do not have to feel like the accident has ruined your life. There is hope for recovery for even the most serious accident victims. Furthermore, you have legal rights that can and should be protected in the days and months following an accident. 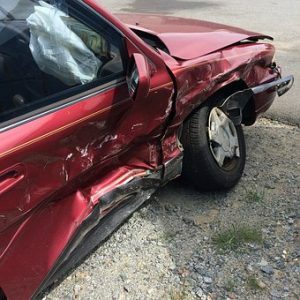 If you have been injured by a negligent driver, the law affords you the right to recover for your pain and suffering, your lost wages from work as well as your out of pocket expenses including medical and prescription expenses. Just because you have rights does not mean that they are automatically exercised. To protect your legal rights, you need an experienced Boston personal injury attorney who has what it takes to fight for you. At the Law Offices of Jeffrey S. Glassman, we focus our practice on personal injury and helping car accident victims in their time of need. Let us put our experience to work for you. If you try to handle your accident case by yourself or with an inexperienced attorney you are literally putting your future on the line. Give us a call today at 617-367-2900. We do not charge a fee for legal consultations. If we decide to take your case, we do not recover a fee unless you also recover for your injuries. You have nothing to lose, we are standing by right now ready to assist you.